Farmers have until March 15 to purchase or modify crop insurance policies for 2012. “This year’s crop prices have provided record-high guarantees for farmers, but with the higher prices, comes higher premiums,” said Tom Sloma, assistant vice president – crop insurance for Farm Credit Services of Mid-America. Sloma encourages farmers to review their coverage options with their crop insurance agents to make sure their 2012 policy needs are meet. “It’s equally important for farmers to make sure their policies will cover their needs in the event of a production or revenue loss,” he said. Sloma said that crop insurance specialists are reviewing customers’ coverage plans and working with them to verify the accuracy of their policies, including items that are sometimes easily overlooked, such as entity type, social security number, tax ID and marital status. New for 2012, Farm Credit is offering Enterprise Plus, an innovative crop insurance policy that allows customers to place an additional endorsement on their Enterprise Unit policy so that each unit is also insured individually. “Enterprise Unit Coverage allows all fields by crop in the same county to be treated as one unit, which creates a balance between high and low yields. Enterprise Plus is now being offered to farmers in Indiana and Ohio and can added to Revenue Protection (RP) policies or to Revenue Protection with the Harvest Price Exclusion (RP-HPE) policies that qualify for Enterprise Unit coverage. The endorsement can be added to corn and soybean policies and can be elected at either 10 percent or 5 percent below your Enterprise Unit coverage election. Farm Credit’s team of crop insurance specialists can discuss the changes in insurance and how they affect a farm operation. To find a Crop Insurance Specialist, go to http://www.e-farmcredit.com, and click on the Crop Insurance Link or call 1-800-444-3276. Farm Credit Services of Mid-America is an $18 billion financial services cooperative serving more than 95,000 farmers, agribusinesses and rural residents in Kentucky, Ohio, Indiana and Tennessee. The association provides loans for all farm and rural living purposes including real estate, operating equipment and housing and related services such as crop insurance, and vehicle, equipment and building leases. 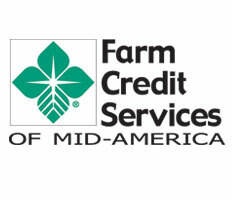 For more information about Farm Credit, call 1-800-444-FARM or visit them on the web at http://www.e-credit.com.